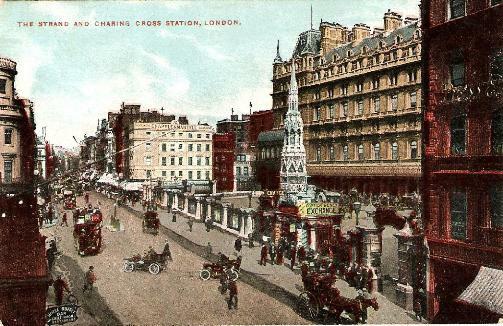 Charing Cross Station was opened in 1864 by the Southern Eastern Railway. 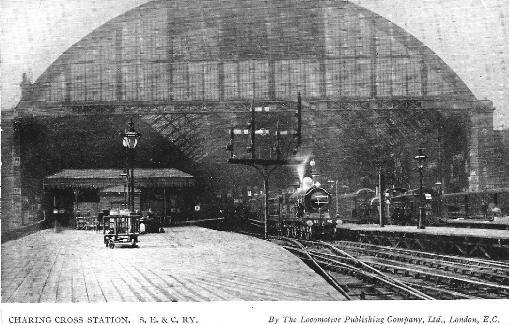 It took the railway from London Bridge and Kent across the teams and into the heart of London. 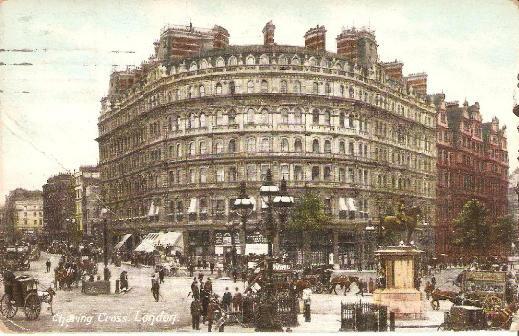 Charing Cross is named after the medieval Eleanor Cross that had once stood nearby. The Victorians erected a new cross in the forecourt of the station. The South Eastern & Chatham Railway (SE&CR) existed between 1899 and 1923 when it became part of the Southern Railway. It had a virtual monopoly of railway routes throughout Kent.